A VERY NICE GESTURE TO PRAY FOR THE PARENTS. 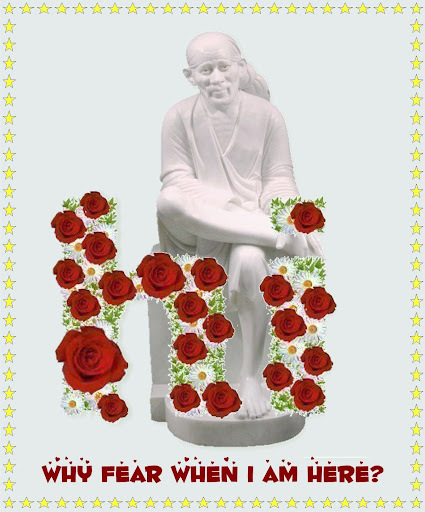 SAI BLESS YOU ALL TIMES AND EVER. On this Guruwar day Babaji,please accept all our prayers which are said loud,meditated in thought and silent prayers amd bless all the parents in the world with great health and happiness for years to come and also bless all the sons and daughters to be worthy enough to serve their parents and make them feel very special. On this Guruwar day Babaji,please convert even our smallest good thoughts into prayers and dedicate it to our parents. Jai Sai Ram. Raj Bhai - wonderfully prayed. "this day Babaji,please convert even our smallest good thoughts into prayers and dedicate it to our parents." Page created in 0.731 seconds with 69 queries.